Swee Lee is currently Director of International Food and Water Research Centre. She has excelled in number of field based roles during her 19-year career at Waters. 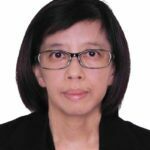 She started as an application chemist in Singapore in 1999, and then went into sales & market management, build and manages Asia market development and the Singapore demonstration laboratories. In 2006, she relocated to China and established the marketing team and product demonstration center for Waters China. She served as the Director of Marketing for Waters China and grew the market organization to cover business development, consumable business unit, customer education, and expanded solution center. Most recently, she was the Director of the Consumables Group Asia Pacific. Swee Lee completed her Master of Science in Virology at the National University of Singapore. 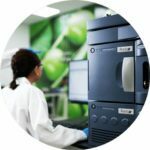 Opening this week in Singapore is a new resource for scientists in the challenging position of needing analytical insights as part of their food and water research, but who lack access to state-of-the-art instrumentation … we’re so excited we wanted to share a preview!